Final drawing for my Drawing from Imagination Class (It really should be called Perspective class), this class sucked the creativity out of me! jk. We had to use a ruler in ever drawing and measure everything out, I’m glad its over! Yay! It was tricky though, keeping the horizon line at ground level and trying to do 3 point perspective. overall I’m happy at how this turned out. This was the script we were supposed to base the drawing on…. 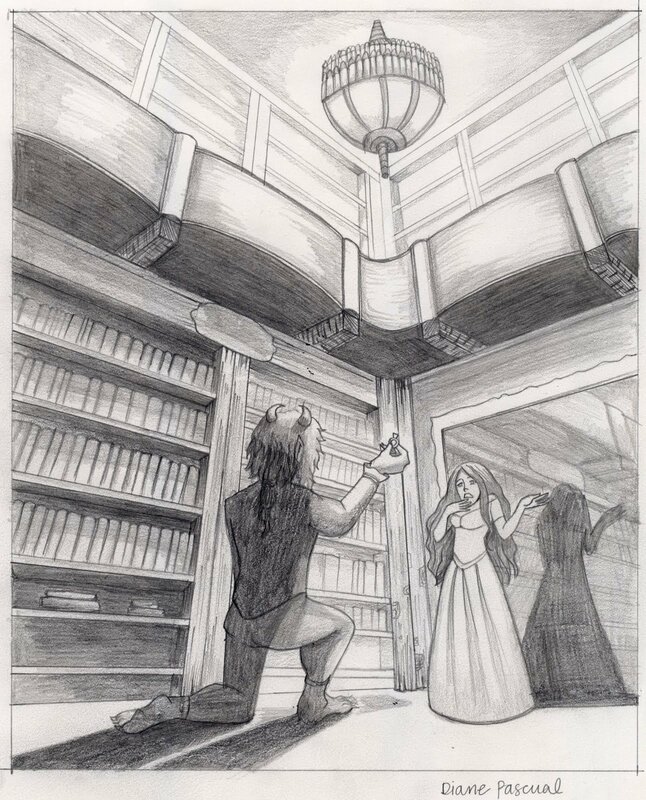 “One, summer night the Beast dropped to one knee and looked into the eyes of his companion.